When the draft terms of reference of the National Inquiry into Murdered and Missing Indigenous Women and Girls were leaked to the media in the summer of 2016, many families, advocates, experts and communities were upset that there would be no investigation of the police — either their mishandling of individual files or their behaviour. This omission was a shock to most since police racism and abuse was raised at every pre-engagement session conducted by Indigenous Affairs seeking input into the inquiry’s mandate. Families and advocates immediately responded by writing open letters calling on the federal, provincial and territorial governments to ensure that police handling of individual files and police behaviour would be included in the final terms of reference. Despite their strenuous advocacy, the final terms of reference specifically excluded any review of individual files or police conduct. Since the launch of the inquiry in September 2016, it has been in slow motion implosion. The inquiry has been criticized for its numerous and lengthy delays, its failures to communicate with the families and its continued failure to provide information about schedules, logistics, process, or budgets. 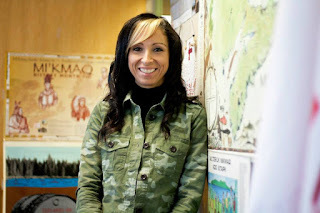 The Native Women's Association of Canada raised the issue that their phone calls to the inquiry were not answered or returned and were instead redirected to Indigenous Affairs — leading some to question the objectivity of the inquiry. Then, one by one, the inquiry saw the resignations of some of its most senior staffers, including Michèle Moreau, the executive director; Chantale Courcy, director of operations; Tanya Kappo, manager of community relations; and Sue Montgomery, director of communications (the first, Michael Hutchinson, had been terminated). Several former staffers, speaking under condition of anonymity shared their concerns that the inquiry was lacking leadership and direction, and egos and power struggles have left it dysfunctional. To this end, an open letter was sent to the inquiry by a collective of Indigenous women, advocates and impacted family members calling for action and offering assistance. Others tried phone calls, e-mails and in-person meetings to try to get the inquiry back on track, with little obvious impact. The continued lack of action on the part of the inquiry led many prominent advocates, Indigenous leaders and concerned families to call for a hard reset of the inquiry — which included calls for new commissioners, extended timelines, additional budget and improved terms of reference. Manitoba Keewatinowi Okimakanak (MKO) Grand Chief Sheila North Wilson, representing northern Manitoba First Nations, called for the current commissioners to resign and let the inquiry reset for the benefit of the families — a call shared by many. A hard reset is not without precedent as the Truth and Reconciliation Commission also struggled in the beginning and was reset with new commissioners and it was better for it. The issue of residential schools deserved a proper inquiry just as the issue of murdered and missing Indigenous women and girls deserves a competent, independent fulsome inquiry that has the time and resources necessary to address the core issues — which includes a review of individual files and police conduct. The issue of a hard reset also divided the chiefs at the most recent Assembly of First Nations (AFN) annual general assembly in Regina. Numerous family members attended the AFN assembly to plead with the inquiry’s commissioners to resign and reset the inquiry. The chiefs were deeply divided on the issue of reset but all seemed to agree that the inquiry was plagued with problems and recommended numerous improvements. 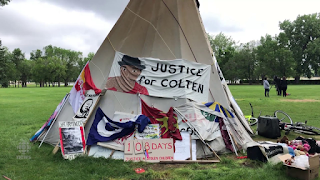 Commissioner Buller’s statements prior to the chiefs’ vote that she would not resign regardless of the outcome of the vote, arguably created an adversarial relationship between Indigenous peoples and the inquiry. Many family members are saying that the inquiry has “already failed” and this division among the leaders and families on how to fix the broken inquiry is itself evidence that the inquiry lacks the trust it needs to do its job. Equally as concerning were the developments at the AFN assembly, where chiefs and families who wanted to address their concerns about the inquiry met with or spoke to Indigenous Affairs Minister Carolyn Bennett. Bennett was also quick to support the chiefs at the AFN in their calls for a soft reset of the inquiry. This inquiry is supposed to be independent of the federal government, yet by all appearances it is the federal government pulling the strings. The inquiry itself then scrambled to put together a press release on the very same day that families were calling for a hard reset of the inquiry claiming they will now review police conduct and individual files. 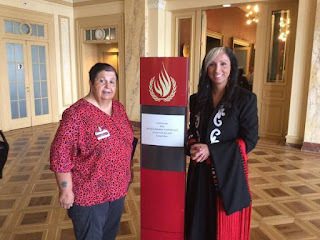 This release has caused greater confusion because the inquiry is both empowered and limited by the terms of reference agreed to by the federal, provincial and territorial governments which specifically excluded the review of open or ongoing individual files (which for murdered and missing Indigenous women and girls are many) and police misconduct. Any information related to these matters must be referred back to police — the very same institutions that did not handle the files properly to begin with or that failed to take action against racist, abusive or sexually violent police officers. Misleading the families this way in order to avoid more calls for a hard reset is a huge injustice to the many families and communities who are relying on this process in good faith. What is clear despite all the confusion and dysfunction, is that a hard reset is required or it risks becoming like Wally Oppal’s Missing Women Commission of Inquiry where large numbers of witnesses pulled out of the inquiry and the resulting report lacks any credibility. The Ontario Native Women's Association has already pulled out of the inquiry and many others may follow suit if the inquiry is not addressed. Canada owes the families and communities better if the prime minister meant what he said that there is no relationship more important to Canada than the one with Indigenous peoples.